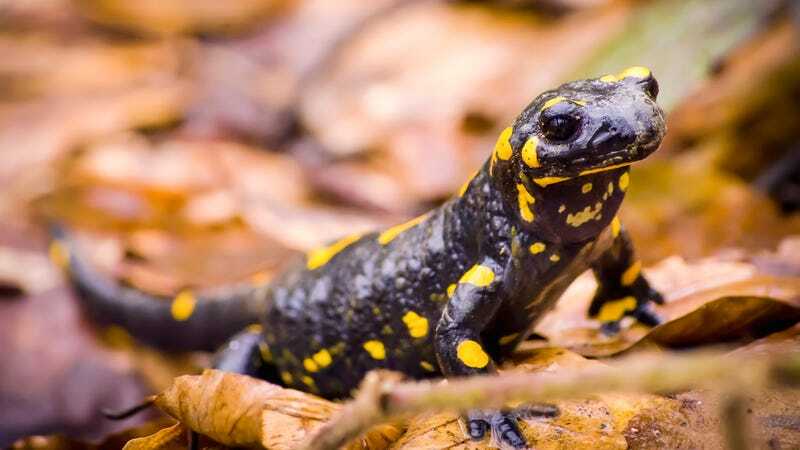 EARTH—Insisting that the planet’s resources could be put to far better use than toward their own paltry existence, the world’s salamander population reportedly gathered Thursday to bravely announce their willingness to go extinct in the place of a better animal. “We’ll do it. We’re small, slimy, and stupid, and we don’t have much effect on anything—it’s for the best, really,” said the vast coalition of amphibians, solemnly stating their willingness to “go ahead and take one for the team” on behalf of several critically endangered and “way cooler” species such as the black rhino, hawksbill turtle, or the Sumatran elephant. “Look, we’ve kind of peaked. And there are tons of other different types of amphibians and lizards that pretty much check all the same boxes we do. Honestly, you’ll hardly even notice we’re gone. Polar bears, on the other hand? Those will be missed way more. It’s really no contest. If anyone has to go extinct, it should be us.” At press time, a herd of several hundred thousand salamanders were spotted running full speed toward the edge of a 600-foot cliff.